There exists a large variety of drinking vessels that we normally use in our households, the most common being casual drinkware we use everyday (such as cofee mugs and tea cups), special occasion drinkware (including all types of wine and champagne glasses) and disposable drinkware. Find different types of drinkware in our marketplace from cups and mugs to champagne flutes and martini glasses! Shop for drinkware on Export Portal! Enjoy safe shopping and check out our wide range of drink vessels! Become a certified seller and get the best ‪export‬ and import ‪deals‬ you'll ever find online! Choose drinkware according to your needs: glass or plastic drinkware for cold liquids and coffee and tea mugs for hot liquids. 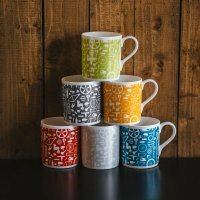 Select from an extensive collection of coffee cups, teacups, mugs, wine glasses, champagne glasses, beer mugs, cocktail glasses, water glasses, juice glasses, stemless glasses, tumblers, outdoor drinkware etc. We also offer a large variety of drinkware sets for everyday use, as well as special occasion drinkware and themed drinkware. A full spectrum of products such as plastic drinking vessels and reusable drinkware can be also found at Export Portal. Sell and buy drinware and other kitchen products on Export Portal - enjoy sales and shopping to the maximum!